Many establishments are committed to providing and keeping live music a thriving option, but very few are as committed as The Evelyn Hotel. For 40 years the pub has made the enormous commitment of facilitating eight live shows, seven nights a week. The Evelyn Hotel has been the launch pad for many Australian and international music careers. It is also a stop for established acts while touring. 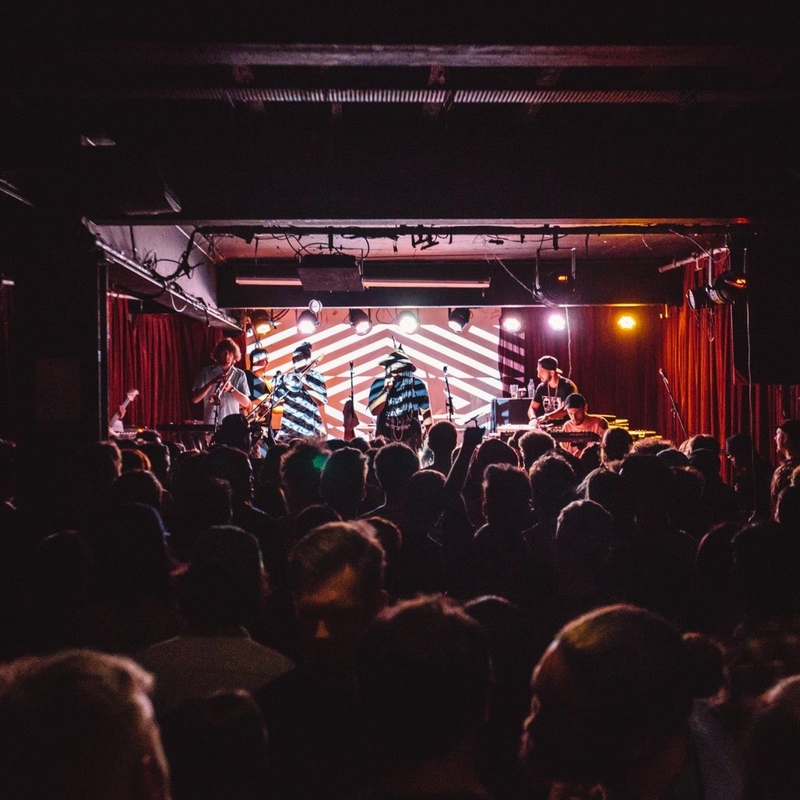 To this day, gigs could feature Kiwi Legend Dave Dobbyn or hot newcomers like AZTX. It contributes to the continued health of the live music scene by offering a residency to young bands with the week residency program. The Evelyn Hotel consists of a band room capable of standing more than 300 people, a beer garden and bar. It is often encircled by a large crowd of patrons spilling out onto Brunswick street. The venue doesn't have meals on offer, so it encourages patrons to try the restaurants in the area. The Evelyn Hotel's trendy Brunswick Street location means that it is surrounded on all sides by an almost ridiculous amount of dining and entertainment options. Don't worry though, when it comes to drinks The Evelyn Hotel has you covered. Drink specials often include $2.50 pots and $5 spirits as well as $10 pitchers of beer. If you’re looking to take a bottle of something home with you, The Evelyn Hotel also has an attached bottle shop that has an impressive selection of beer, wine and spirits. The bottle shop prides itself on carrying an exotic collection of Australian and international boutique beers. Public Transport: Tram 11 stopping at Leicester St/Brunswick St will place you a minute away by foot from the door of The Evelyn Hotel.